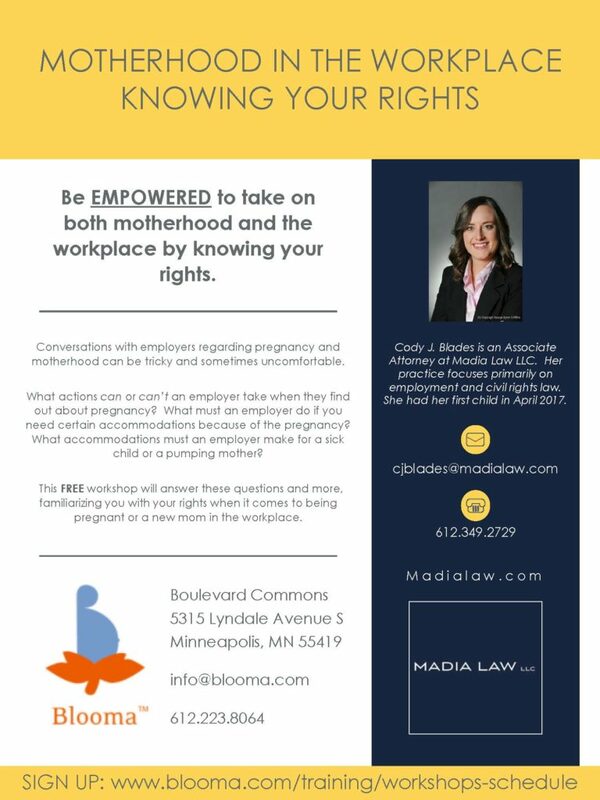 Associate Attorney Cody Blades will be giving a FREE workshop on Motherhood in the Workplace on February 10, 2018 at Blooma prenatal yoga studios in Minnespolis. This workshop will empower pregnant women and mothers by educating them on their rights in relation to their employment. The workshop is perfect for pregnant women, new mothers, doulas, and other professionals guiding women through their pregnancies and postpartum care. Details below.